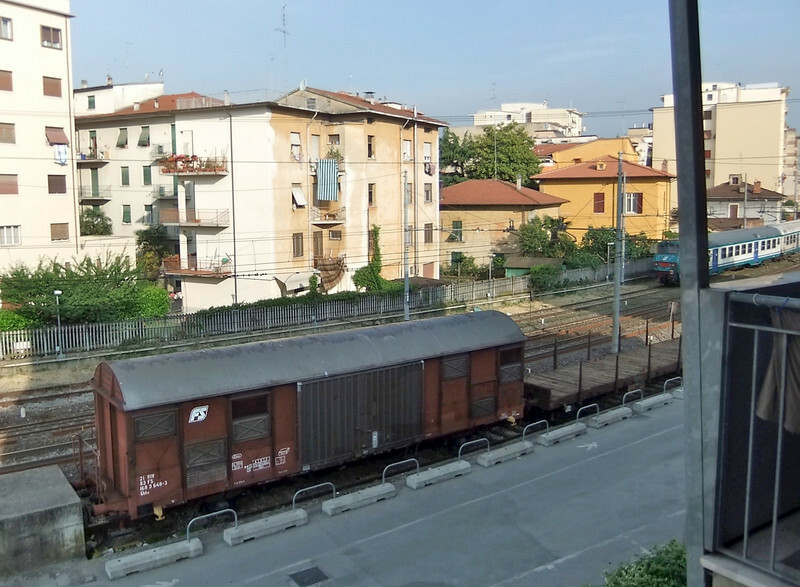 Residenza Le Corniole in Arezzo is very near the railway line. This was the morning view from our apartment's west side window. Arezzo Station is a couple of hundred yards to the right (northwest) of the photo. Geographic coordinates are available from the "Map This" menu at the top of the page.